Самолет Southampton зарекомендовал себя довольно надежным, это позволило разработать его новый вариант - Southampton Mk IV. Доработки, внесенные в конструкцию самолета, были столь значительны, что еще до завершения постройки прототипа ему дали новое обозначение ДальшеMore>>> - Scapa. Хотя отличий от исходного Southampton было много, одним из наиболее заметных стала компоновка силовой установки из двух 525-сильных (391 кВт) ПД Rolls-Royce Kestrel IIIMS, установленных в гондолах прямо под верхним крылом. К числу других важных изменений можно отнести замену открытых тандемных кабин на одну закрытую, в которой пилоты сидели рядом, и использование двухкилевого оперения вместо трехкилевого. Еще одним существенным отличием, внешне незаметным, стал переход к цельнометаллическому силовому набору с полотняной обшивкой на всех несущих поверхностях. Scapa имел экипаж из пяти человек, а размах его крыла составлял 22,86 м. Самолет развивал максимальную скорость 227 км/ч на высоте 1000 м. Вооружение включало три пулемета Lewis и 454 кг бомбовой нагрузки. Британские ВВС получили четырнадцать серийных Scapa. Самолет недолго состоял на вооружении и был выведен из состава боевых частей уже в 1938 году. S1648 was originally known as the Southampton Mk IV, but was renamed Scapa in 1933. In fact, it differed in many ways from previous Southampton variants. This view of the prototype Scapa shows the clean, uncluttered installation of the two Kestrel engines, slung well forward on the upper wings with the radiators rather spoiling the attractive lines at the rear of the nacelles. 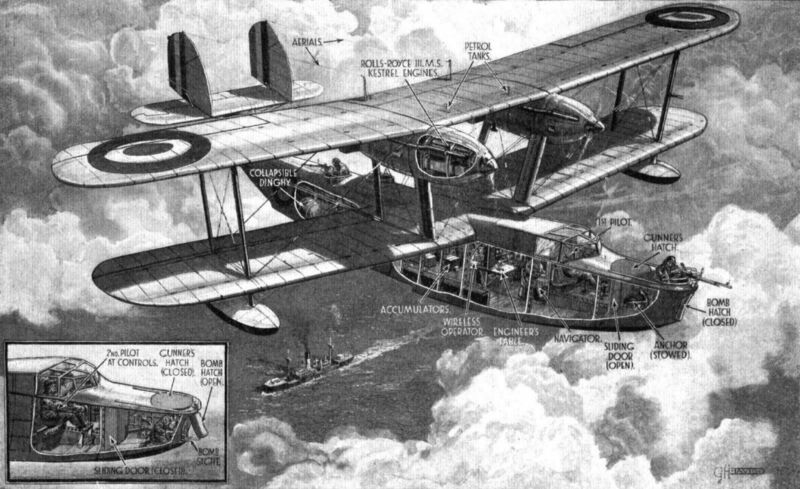 THE SUPERMARINE "SCAPA": This is the name given to the production model. The prototype was known as the Supermarine "Southampton IV." The engines are Rolls-Royce "Kestrels"
The prototype Supermarine Scapa, S1648, was originally known as the Southampton Mk IV. 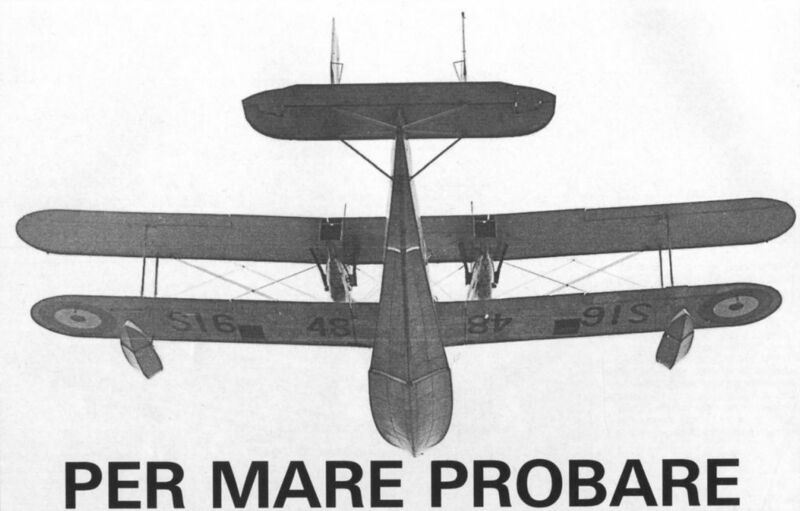 The first production Scapa, K4191, served with Nos 204 and 240 Squadrons follow­ing trials with the MAEE. 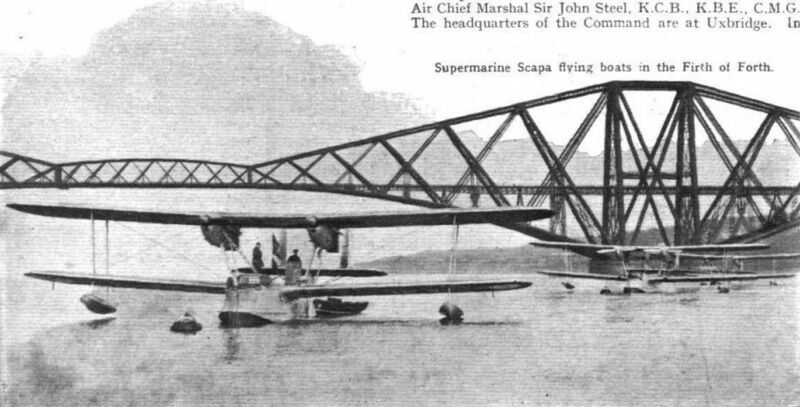 ASHORE: The "Scapa" on its launching trolley The machine is not an amphibian, and the trolley is, of course, left behind when the flying boat is afloat. 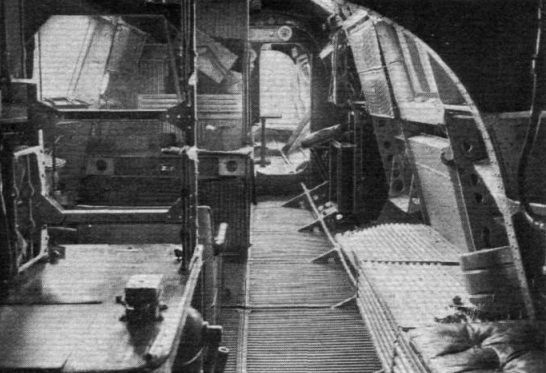 View of the Scapa prototype, S1648. Defensive armament consisted of three 0.303in Lewis machine guns - one in the bow and two amidships. 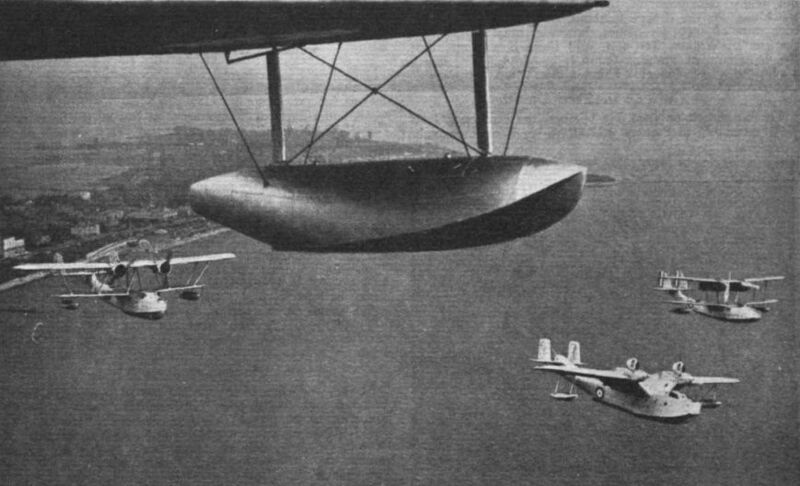 ACCEPTANCE TRIAL: One of the production-type Supermarine Scapa flying boats (two 525 h.p. Rolls-Royce Kestrel III engines) being launched for a test flight prior to delivery. 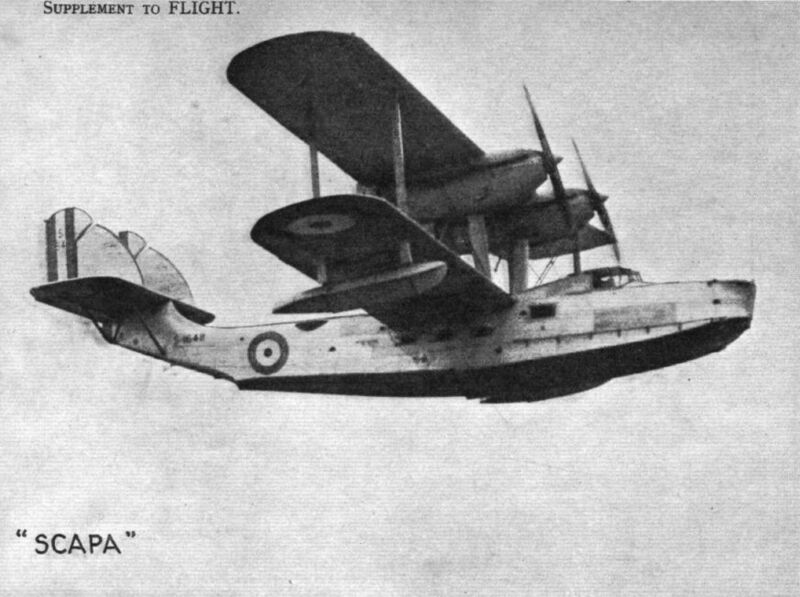 The Scapa is the latest type of flying boat to go into service with the R.A.F. 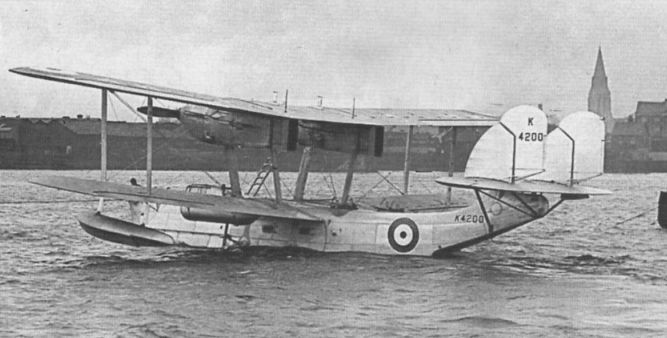 Scapa K4200, last of the first batch of ten delivered to the RAF in 1935, was bst following a collision with HMS Brazen while taking off from Alexandria in November the same year. 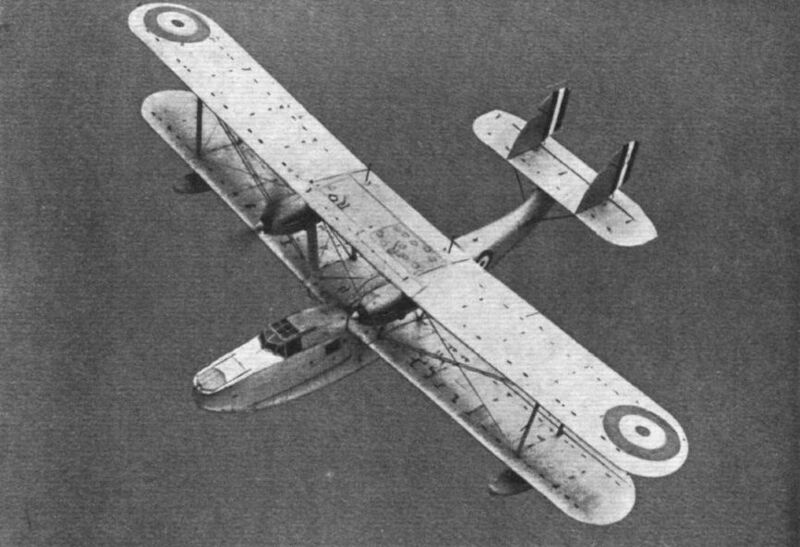 FROM ABOVE: The "Scapa" has a normal biplane wing structure, with struts and wires reduced to a minimum. The engines are Rolls-Royce "Kestrels." 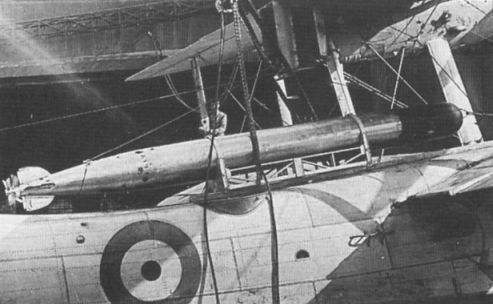 Main recognition feature of the Scapa was the angular radiators at the rear of the engine nacelles. 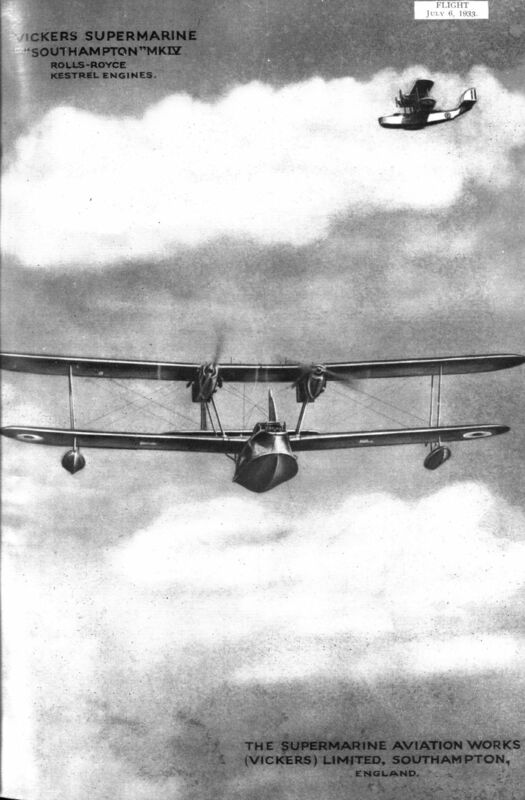 The flying-boat was powered by a pair of 525 h.p. Rolls-Royce Kestrels. Supermarine "Scapas" are already in service in the Mediterranean. The engines are moderately supercharged "Kestrels" of 525 h.p. 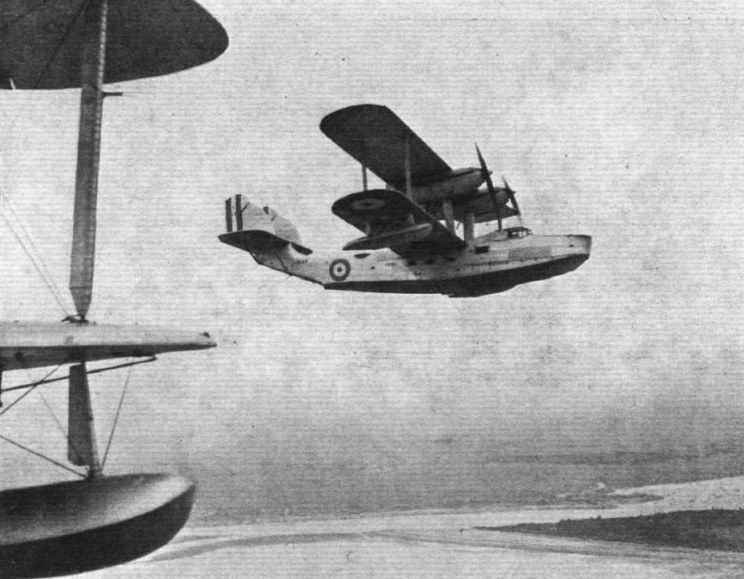 "FORMATING": The Vickers Supermarine "Scapa" photographed from a "Southampton." 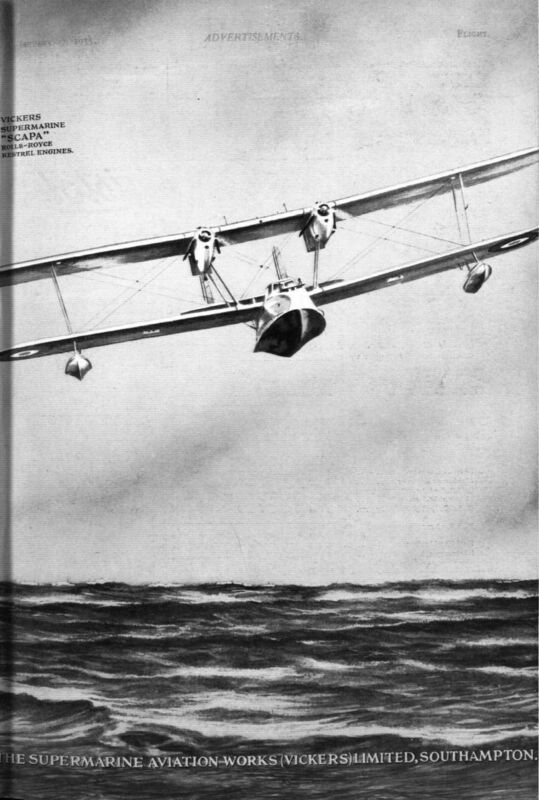 FLYING BOATS: One of the most interesting events of the Display was the "fly past" of flying boats. 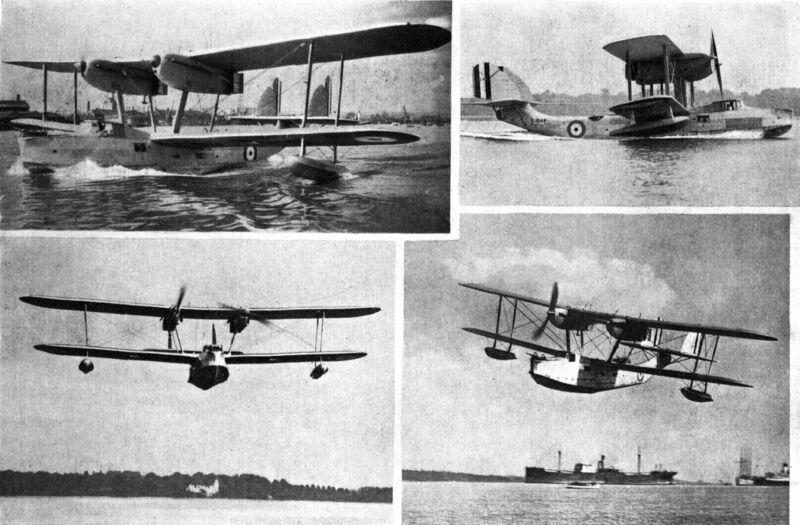 Three of them are shown here - the Saunders-Roe R.24/31 (two Bristol "Pegasus") (left); the Short R.24/31 (two Rolls-Royce "Goshawk") (centre); and the Supermarine "Scapa" (two Rolls-Royce "Kestrel"), all of the open-sea reconnaissance multi-seater type. 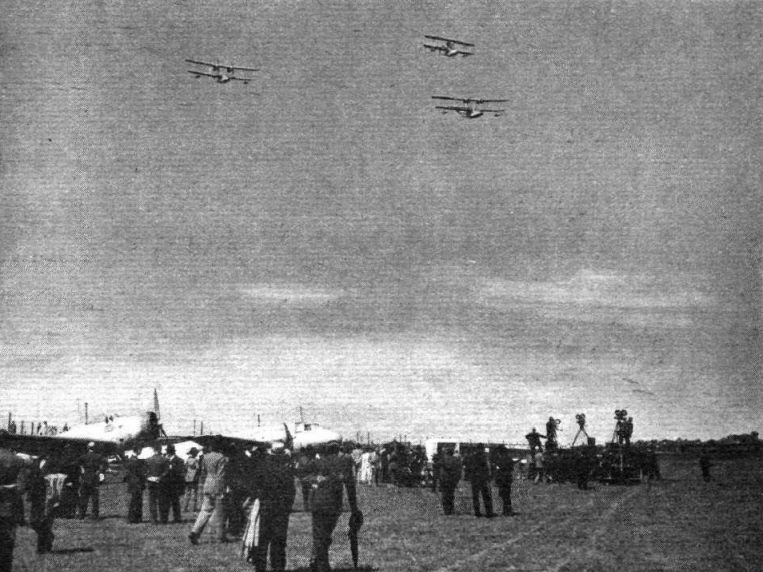 This photo was taken from another of the flying boats, the Blackburn "Perth" (three Rolls-Royce "Buzzard"), during rehearsals at Felixstowe. MILITARY AND CIVIL: Singapores, Scapas and an Imperial Airways Calcutta off the Khedival Palace, Alexandria. Sequence of pictures showing how a spare Kestrel was manhandled to and from a boat with the aid of a block and tackle, a handful of chaps and the Scapa's own derrick. The prototype Scapa with an 18in torpedo mounted on a cradle amidships for transit purposes - a spare engine could be similarly carried. Close-up of the Scapa’s beautifully cowled Rolls-Royce Kestrel IIIMS engine. 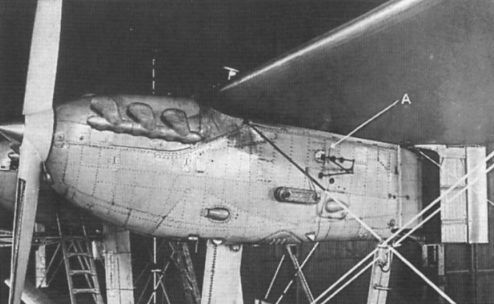 A view of the hull, with wing roots in place. A Scapa engine nacelle. In this view the nacelle has been placed on its side in order to show the inspection doors in the floor by which engineers reach the engines. The nacelle is of all-metal construction. The photograph forms an interesting companion to the sketch on the previous page in that it shows the special ribs in the wing root. These ribs are of channel section. 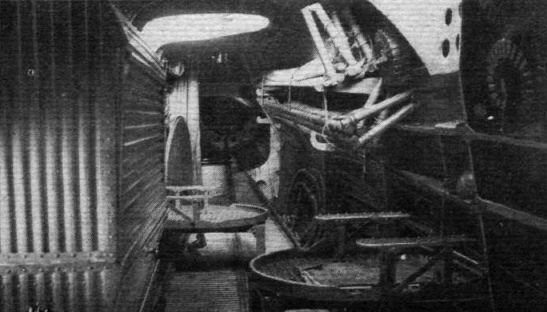 Interior of the Scapa. The camera was pointing towards stem of the hull. 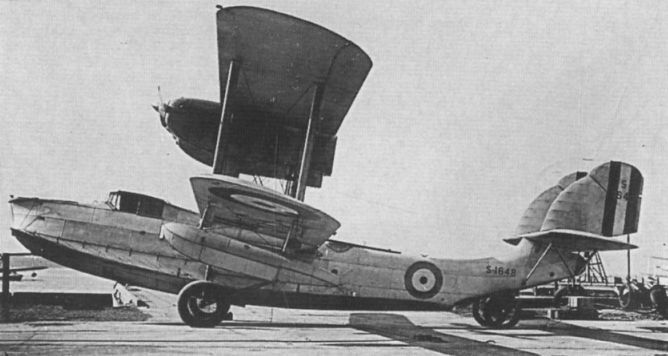 Vickers Supermarine "Scapa" Rolls-Royce Kestrel engines. 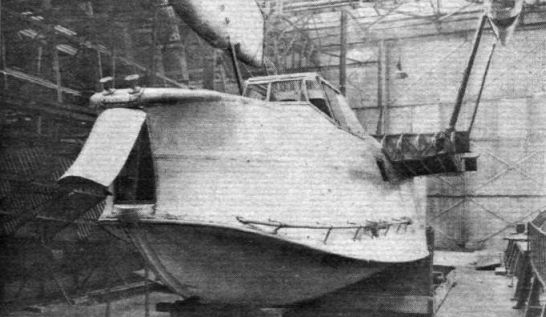 The Vickers-Supermarine Scapa all-metal hull. 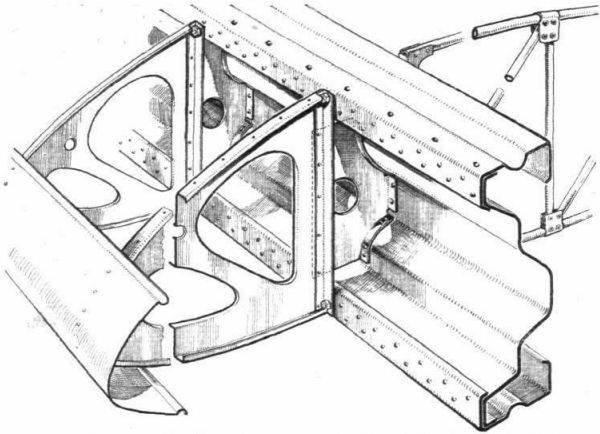 The large drawing shows the shape and arrangement of the frames, bottom stringers, etc., while the smaller sketches illustrate various typical joints whose location in the hull is indicated by the reference letters. On the right is an enlarged view of a portion of the bow frame and its attachment to the keel. Details of the wing construction of the Scapa are shown in this sketch of a spar and a typical rib. Note the "Sigma" section of the spar, which is unusual.